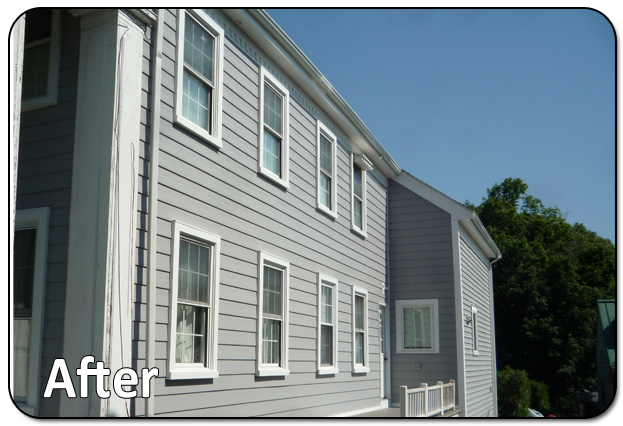 Here in Weymouth, MA, these local homeowners sought out a siding contractor that offered something no other contractors in the New England region could offer - Everlast Composite siding. 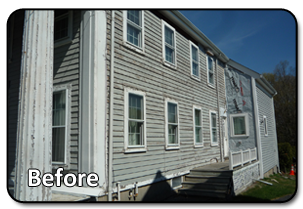 The homeowners wanted a fresh new siding and wanted to keep the original color of the home, so they went with the 7-inch Seaside Gray Everlast Composite siding clapboard. As you can see in the before and after photos, this home went through a complete overhaul, but not only that, it now stands out amongst the other local homes. Complete demolition of 2 layers of previous cedar siding. Moisture barrier installation: Everwrap barrier. 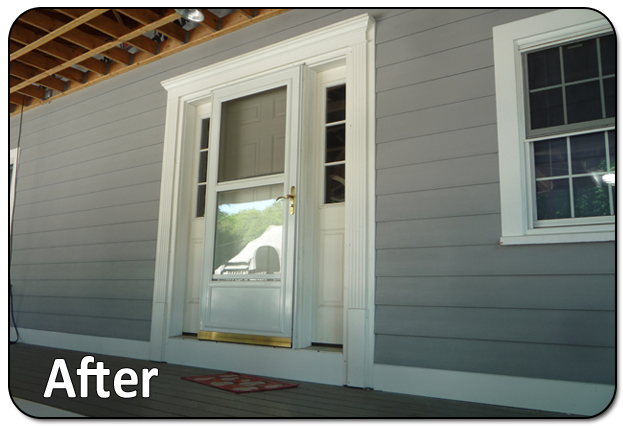 Everlast Composite Siding: 7-inch Seaside Gray clapboard.